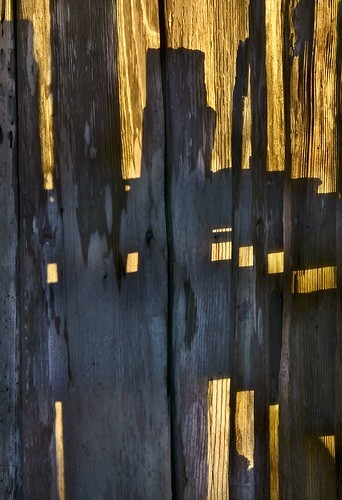 Shadow of the Past, photo by Harold Davis. View this image larger. 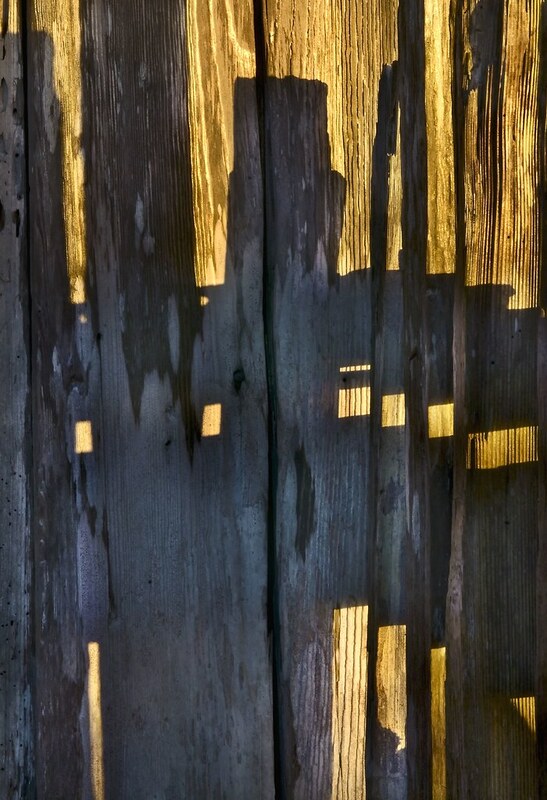 This is a close-up of the shadow of an old ranch fence on the barn at Sea Ranch. Shadows interest me because a shadow usually displays more contrast than the object creating the shadow. 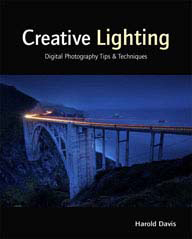 The great dynamic range between a shadow and the background on which the shadow is projected can be used to create interesting compositional effects. Related images: Bridge Shadow, Papaver and Shadow, Blind Shadow, Shadows on a Wall. Boys in the Tub, photo by Harold Davis. What fun to be four boys in a hot tub! Shown here next to the tripod. 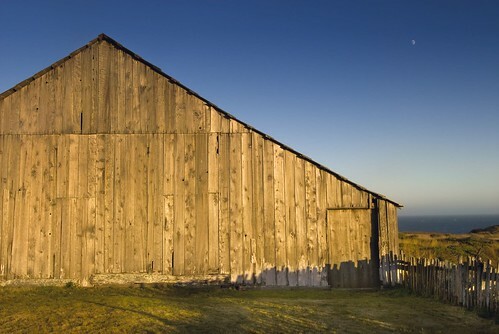 Barn at Sea Ranch, photo by Harold Davis. View this image larger. I scouted the barn when exploring beaches and nearby headlands with the kids. 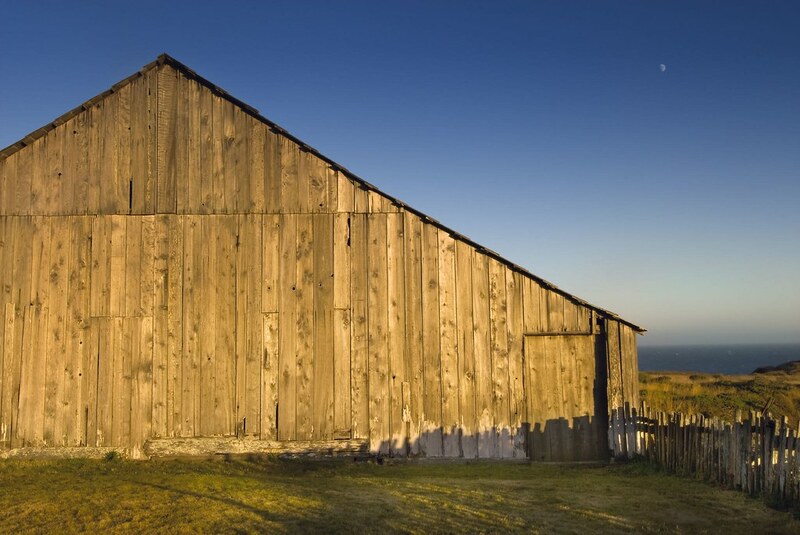 I came back alone at sunset, and tried to create a composition that echoed the simplicity of the barn but also gave a nod of the head to the visual richness of the Sea Ranch plateau. Related stories: Cedar Break, Night Music. Night Music, photo by Harold Davis. View this image larger. On our Sea Ranch vacation we had a number of clear nights without fog. I took advantage of these nights to photograph the night sky over the Pacific. Each clear night until we moved to another house I set up a long time exposure. We moved because of a scorpion in the house, a broken dishwasher, and raccoons in the trash: another story. But the next house was in a Sea Ranch suburb without the same unbroken view of the night sky. My modus operandi on clear nights was to set the camera up just below the hot tub. I used my timer to set a delay of some hours, and used the camera’s Bulb setting to open the shutter for a number of hours. After the hot tub, Phyllis and I went to bed and I got up and examined my results in the morning. I used an AC power supply plugged into an extension cord, because even one of these exposures takes more juice than my D200 has in a battery. This is a 6,554 second exposure, or close to two hours, starting at about 12:30AM and ending around 2:30AM. 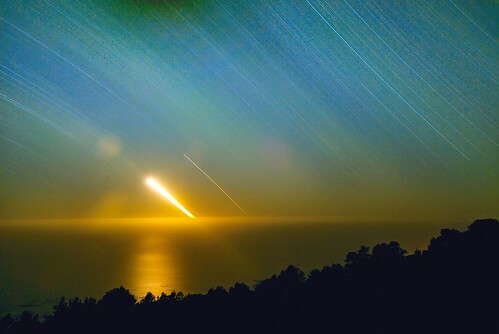 The bright, comet-like light is the setting moon going down into the ocean while stars wheel round above. You can see lens artifacts in the image caused by the comparative brightness of the setting moon during this long time exposure. When I post-processed this image, I intentionally left noise in the sky. It seems to me a better effect than making the star trails seem too smooth. After all, noise is the digital era’s version of grain: like grain it can be used for aesthetic purposes. Related site: Digital Night by Harold Davis. Cedar Break, photo by Harold Davis. View this image larger. 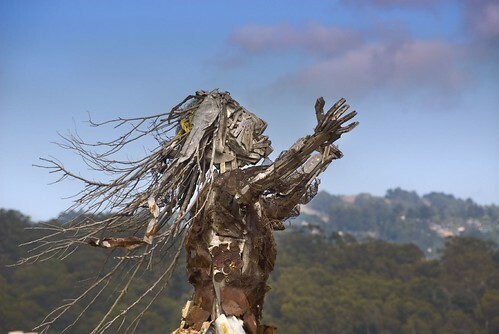 When landscape architect Lawrence Halprin camped on the rugged 5,200 acre ranch on the northern Sonoma coast that was to become Sea Ranch, he saw the need to plant wind breaks. These breaks, like this cedar break, were planned to give relief from the fierce weather that washes this oceanic plateau community of second homes. 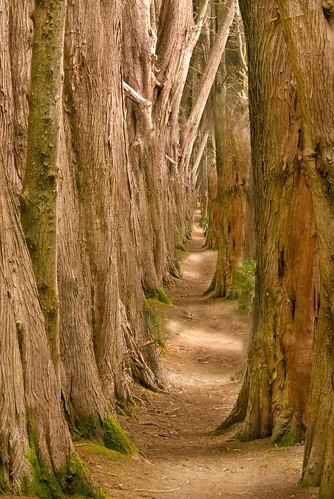 I wandered this trail within the cedar break, and photographed it stopped-down for depth of field. Like Sea Ranch as a whole, this trail only shows its beauty from inside the break. It seems odd that a community planned to celebrate nature essentially faces inward. Related image: World without End. Past the Golden Gate Bridge, Black Sands Beach lies along the straits between Point Diablo and Point Bonita. The beach faces the open Pacific towards the southwest. On a sullen, cloudy, windswept day I hiked down to the beach. My camera and tripod were on my back. It was bright, but drizzling slightly. The dark beach was empty of people, and it was hard to believe that a great metropolitan area was hard by. A great flock of seagulls huddled togather at the western end of the beach. Hard by where the trail ended on the beach there were great piles of bird feathers, caught and held by the wind. 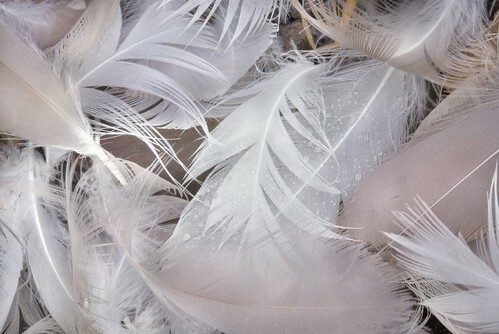 These were no fancy feathers. I placed my tripod legs in the mud, and began to photograph with my macro lens stopped all the way down. 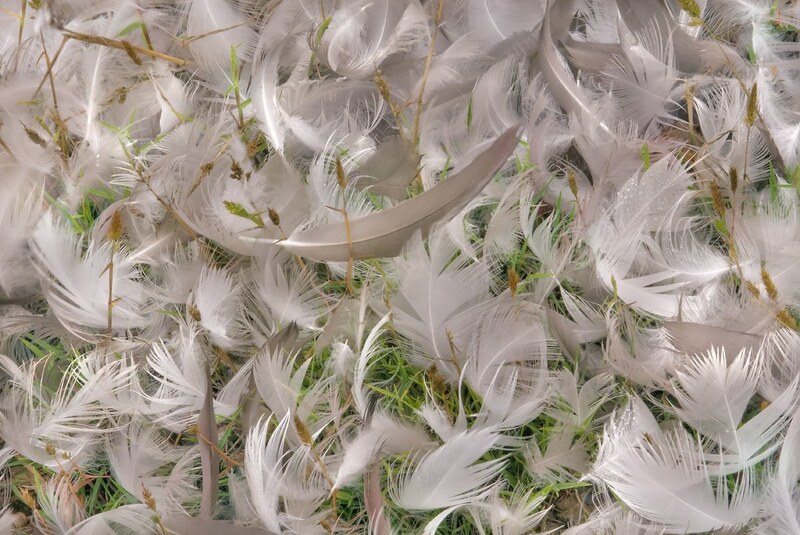 Initially, I was most attracted to the contrast in textures between the feathers and the green grass (above). As I spent more time looking at the feathers, I became interested in the filagree and transparency of the feathers up close (below). As I took these photos, the waves crashed on the dark beach and the spray mingled with the moisture in the wind. I hovered, protecting my camera as best I could, and wiping it dry from time-to-time with my shirt. In a significant way, photography is about time. A photograph freezes action and captures a moment. Looking at photographs we see the past, perhaps our past. Photographs become memories. Unlike the wizard photos in Harry Potter’s world, the people in our photos don’t move around to get our attention. The time slice is static, and the time capture is usually created with shutter speeds that are a small fraction of a second. When shutter speeds get longer, and are measured in seconds or even minutes, then the capture of time changes. Moving cars become streaks of light and people are featureless blurs (unless they hold really, really still like they did at the beginnings of photography). Water in motion becomes ethereal, like the action of the surf in the photo above and below. The waves crashing on the rocks have been tamed and gentled. The rock and arch almost look like mountain peaks peering through clouds. In both these pictures, I combined two exposures. Each exposure used the same aperture (f-stop). 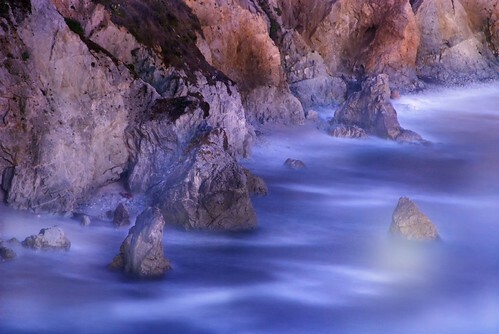 I used twice as long a shutter speed for the rocks as I did for the surf. I combined the exposures manually in Photoshop using layers, masking, and blending modes. 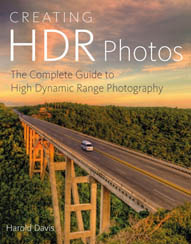 This is not exactly High-Dynamic Range processing, as I explain in Multi-Raw Processing Versus Automated HDR. The photographic trick is to absolutely and completely not move the camera between the two exposures. A tripod is, of course, required. But absolute camera stillness can be harder than one thinks it will be, particularly when the fierce wind that drives the surf is raging. Even the slightest motion of the camera will show up as a registration problem when you try to combine the layers. A solution can be to anchor your tripod with something heavy (like your camera bag). Wave Game, photo by Harold Davis. View this image larger. I played a game with the waves on Stinson Beach. I positioned my tripod below the tide line and tried to capture the movement of the waves. The waves tried to make me grab camera and tripod and run from the spot. A great way to start thinking about vacation. Related stories: Wave Toss, Surf. Feral Turkey Feather, photo by Harold Davis. View this image larger. It’s not unusual to see wild turkeys in the Berkeley hills. Actually, these turkeys aren’t wild: they are feral, animals that were domesticated and then reverted to a wild state. 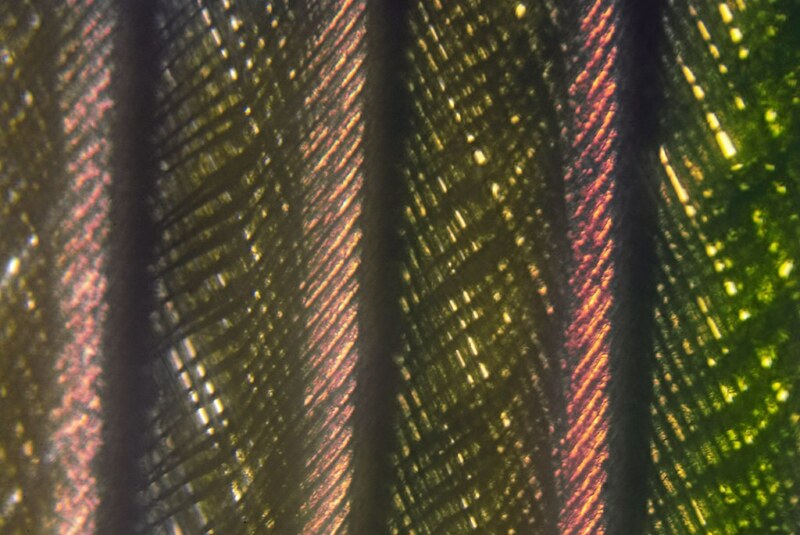 This is a capture of a feather we found from one of these feral turkeys taken through a Zeiss microscope I’ve been experimenting and playing with. Nicky’s Graduation, photo by Harold Davis. Nicky’s moving on to elementary school Kindergarten after three years of pre-school. He’s been very happy at Step One, and these have been good years for him. 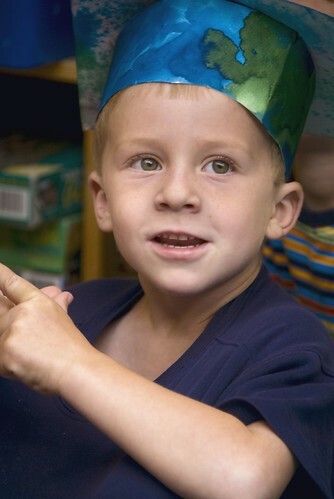 But he’s very excited and happy to be graduating, and counting the days until his new school begins. We’re very proud of Nicky. It was a bit dark at Nicky’s graduation ceremonies because it was indoors and the kids were in constant motion. I considered using flash, but thought that would be disruptive and inconsiderate. So instead, I boosted the ISO and took advantage of image stabilization to photograph hand held. 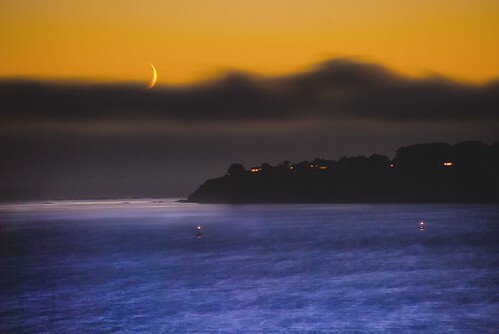 Moon over Bolinas, photo by Harold Davis. View this image larger. Returning home after an afternoon hike in Steep Ravine followed by dinner and sunset photography on Stinson Beach, Mark and I stopped beside the road between Stinson Beach and Muir Beach. The crescent moon was headed down into a cloud bank, and I raced the descent of the moon as I assembled my camera and tripod in the dusk. 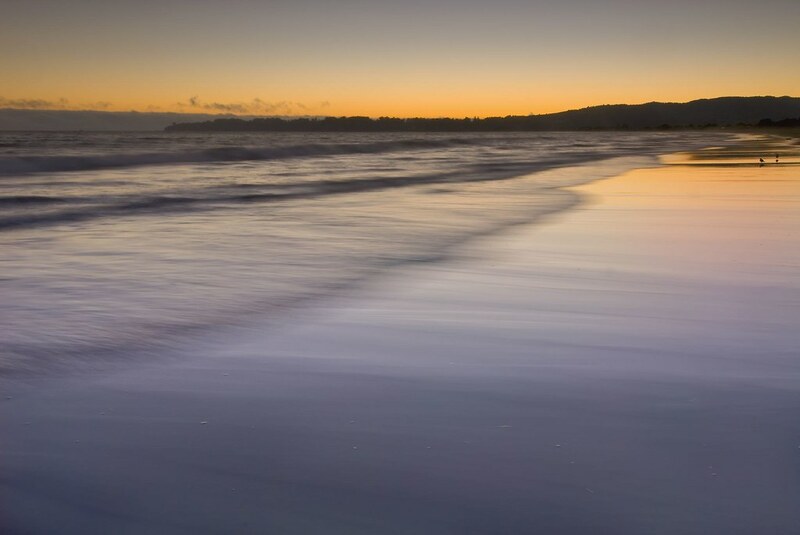 The photograph shows the tip of the Bolinas peninsula and Duxbury Reef gleaming in the moonlight. Still Standing, photo by Harold Davis. View this image larger. 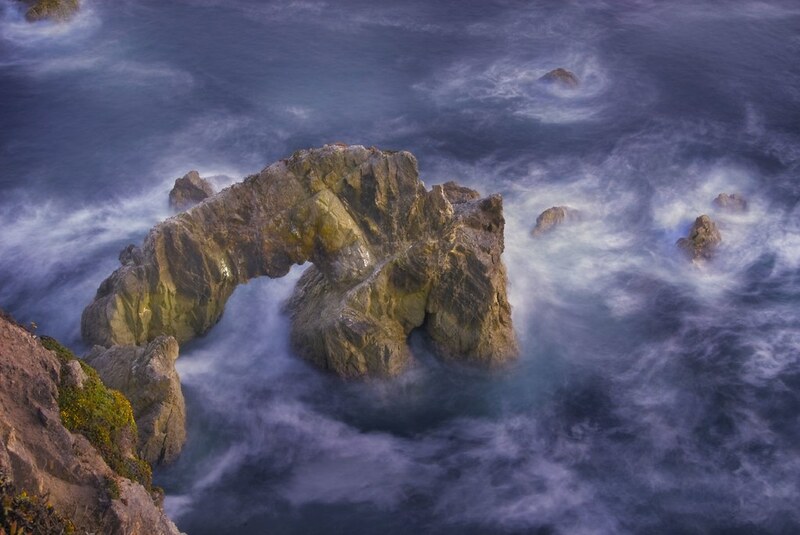 I photographed this arch looking down a cliff on the western side of the Tomales Point peninsula on Point Reyes. Like Adamant, I combined two exposures to fully capture the surf and rock, and to create an effect that’s almost as though the rocks are peaks in a roiling sky. Adamant, photo by Harold Davis. View this image larger. Adamant. Indomitable. This rock stands, no matter how the surf pounds. It stands on the Pacific side of Tomales Point in Point Reyes National Seashore. 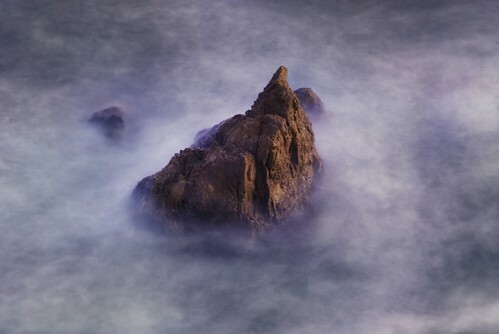 My thought in making this image was to use a long time exposure to turn the surf crashing on the rock soft, white, and wispy, while rendering the rock itself solid and delineated. I used two exposures, one at ten seconds for the rock and one at twenty seconds for the water, and sandwiched the exposures together in Photoshop as layers. Lee Shore, photo by Harold Davis. View this image larger. Mark and I hiked again on the Tomales Point Trail on Point Reyes. We watched sunset from a ledge high out over the Pacific, and I took this photo looking back towards the Tomales peninsula. This time I concentrated on closer-in views of the water against the rocks and cliffs, captured via long exposures. Cloud Catcher, photo by Harold Davis. View this image larger. We hadn’t been to the Albany Waterfront Trail for a while, so Julian and I went exploring. This area was a landfill and dump until it was made into a park. Artists came along and did their transformative thing. Now the bushes are growing back and the trash as well as the art is partly hidden. Julian and I thought this sculpture looked like she was catching clouds.